A pocket square adds nice color and more live to suit, shirt, and tie. A pocket square instantly adds a touch of sophistication and elegance to your ensemble. Using a pocket square allows you to “dress up” or “dress down” an outfit. Best “bang for buck” accessory! – The pocket square earns you lots of style points for little money. Expand your wardrobe – Wearing a pocket square gives the same suit a different look each day. This fold, also called “Presidential Fold”, is one of the easiest ways to fold a pocket square. 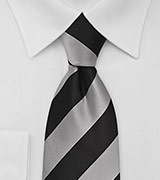 This fold is best for elegant attire ranging from formal business dress to black tie. 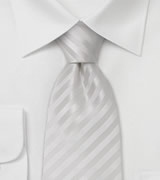 Typically a classic white pocket square made from silk or linen is used for this fold. Fold one side up. 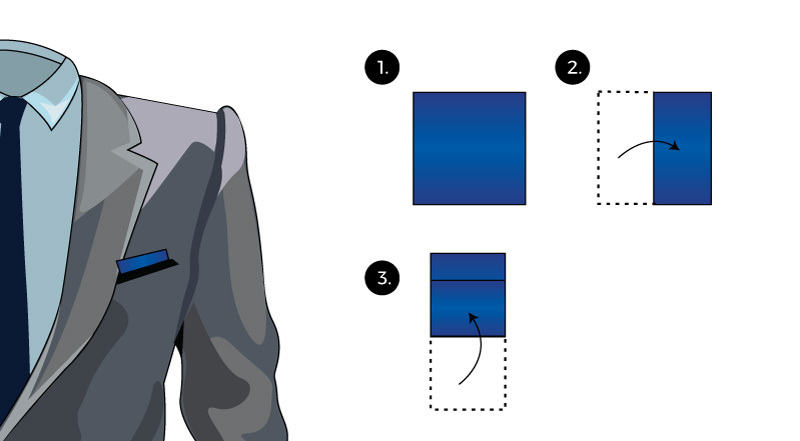 How much of the pocket square you fold in is depending on how deep your jacket’s pocket is. 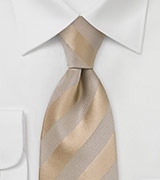 Tug the folded pocket square into your breast pocket so that about 1/4 of an inch is visible. Another popular way to fold the pocket square is the triangular “one tip up” fold. It suits any type of pocket square and dress code. Personally, I like this fold with a solid colored, non-white, pocket square. 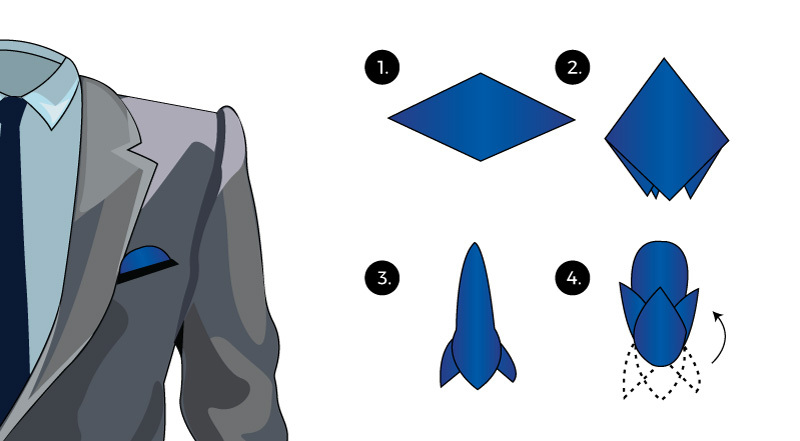 Finally place the pocket square in your jacket’s pocket. Looking for a somewhat different pocket square fold? Then this fold, sometimes also called “two tips up” fold might be perfect. 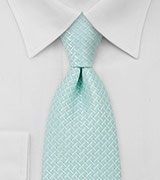 It suits any pocket square color & pattern. Personally I choose this fold for patterned pocket squares accessorizing a casual-sleek outfit that is rather sophisticated than formal. This type of fold that is sometimes also called “three tips up” or “crown fold” is perfect for patterned and colored pocket squares. 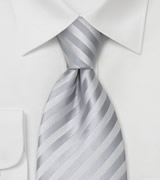 Although this fold would suit formal attire, I like it most with when paired with blazer jacket or sports coat. 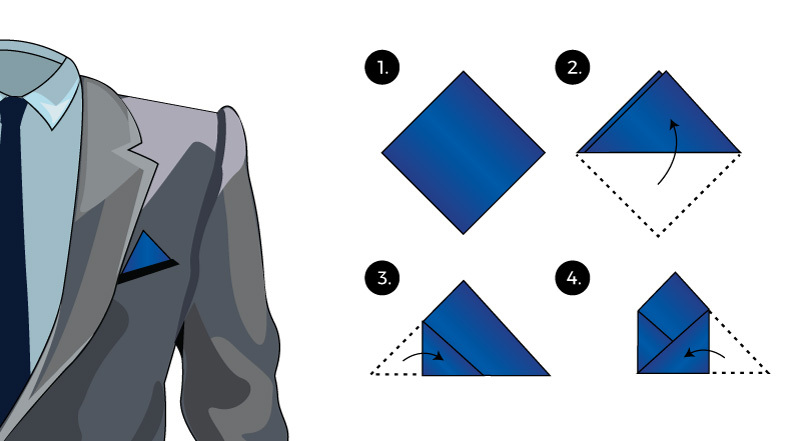 Fold one side in so that you have the look of two triangles – creating two tips. Place the folded pocket square into your pocket and you are done. 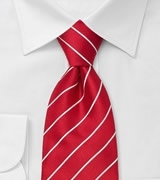 This type of fold, sometimes also called “Puff fold”, is ideal for a more casual-sleek outfit. It looks best when used for patterned pocket squares. I particularly choose this fold for pocket squares that have unique paisley patterns, tartan checks, and polka dots. This fold is less suited for formal attire. 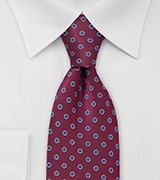 Now pick up the pocket square by pinching it near the center. 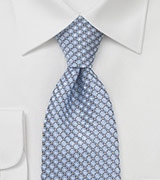 Slide the hanky trough your other hand as shown in picture #3. Finally tug the pocket square in your breast pocket. 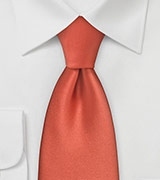 Don’t over-think this fold, the fold should look casual and a bit uneven.